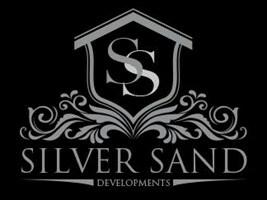 Here at Silver Sand Developments we are a traditional English family run business. A limited company located in Bournemouth with over 25 years’ experience in installing UPVC and double-glazing products. We pride ourselves on keeping our standards high in all aspects of how we convey our business and complete our work. Honesty and fairness is a huge platform that our company is built on we believe and live by the motto ‘treat people as you expect to be treated’. Customer satisfaction and positive reviews are vital to our company ethos. We specialise in all aspects of Double glazing and UPVC windows and doors, fascia and gutting and general property maintenance. We are happy to quote a single replacement window right through to a complete change of all windows and doors at your home or business. Any aspects of building works involved are happily undertaken such as creating new windows or doorways or porches etc. We are very competitive on price and are proud of the customer base and report we have built ourselves. All our installations come with a fully comprehensive 10yr warranty including all locks/handles/hinges/glass etc. Our service is standalone from start to finish from removal of existing products, through installation and then final inspection afterwards backed with customer satisfaction. From Weymouth & Dorchester right along to highcliffe and new Milton. All of Dorset and the New Forest.